My 3-year-old loves screen time and when our newest little baby was first born I gave him way too much screen time when I was nursing or just needed a nap! Now he is constantly asking for screen time... so instead, I like to find creative ways for us to spend our time while my big kids are at school. 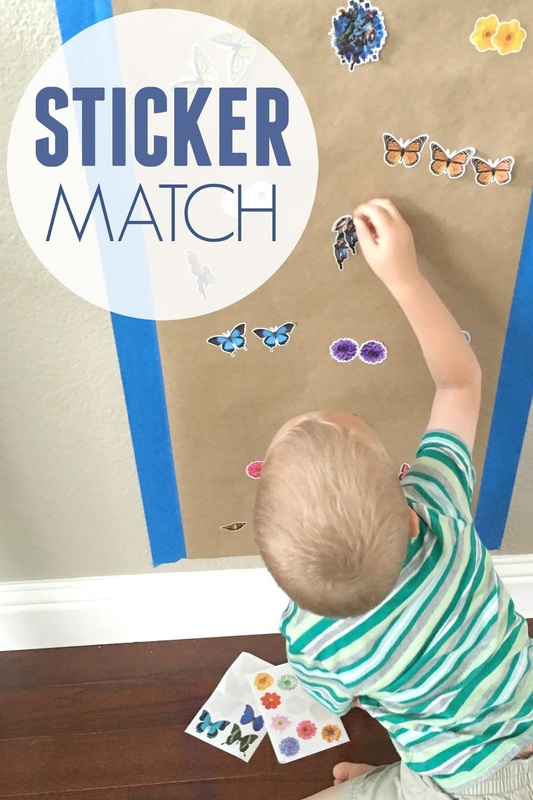 Today we put together a simple sticker matching activity that took just a few minutes to set up and was an easy way to strengthen fine motor skills and work on visual discrimination too! To set up this activity you need to put a large piece of paper onto a wall or table and secure it in place with painter's tape. Then take two identical sheets of stickers and put one aside for your child and use one to create your sticker wall. Stick one of each sticker on the wall. Next invite your child over and find the matching sticker buddy on the other sheet of stickers. 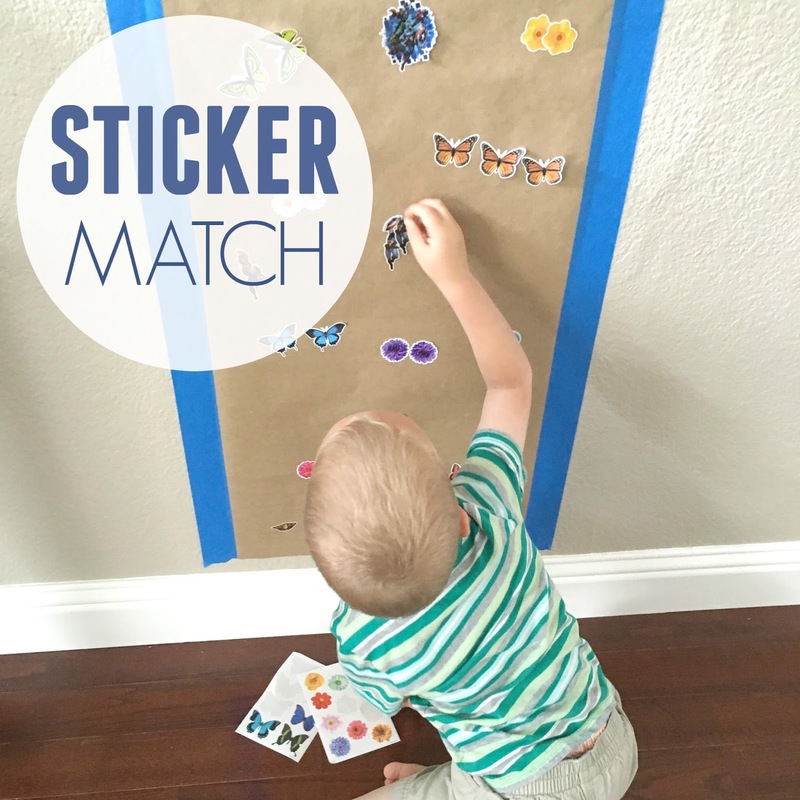 Encourage kids to bend and pull the stickers off the sheets themselves and then put them on the big paper right next the correct match! This activity is really simple and can be super fun if you use stickers that your child loves. My son likes all super heroes so he was excited that I had some Avengers stickers we could use for this activity! Great idea for my two year old son. It develops fine motor skills with the sticker peeling and reinforces sorting. Thank you! Thanks so much for this idea!! The possibilities are endless!! I love this activity. Peeling stickers can be hard for even adults. This is such a great fine motor builder and so simple. I bet he enjoyed it. I'll have to try it with Sicily.